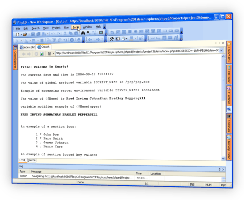 PHP Smarty engine is an implementation of PHP Templates. PHP Template is a great way of separation of business logic and presentation layers. 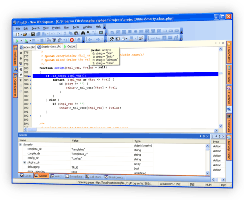 Since PHP Smarty templates became very popular with PHP Programmers, PHP IDE should be expected to support syntax color highlighting for PHP Smarty templates. PhpED excels at this. In this tutorial you will learn how to configure syntax highliting for PHP Smarty in PhpED. This illustration shows Smarty .tpl file opened in PhpED. You can setup syntax color highlighting for PHP Smarty template files by selecting Tools->Editor->Syntax Colors. PhpED provides unique flexibility of User Interface settings. To setup PHP Smarty settings, select Smarty from Language drop down box. You can specify the style you want PHP Editor to use when it displays. The following illustration below show PHP Smarty template setting dialog in PhpED. 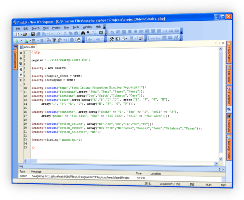 You can execute PHP Scripts using PHP Smarty templates just like any other PHP Scripts right from PHP IDE. Our example PHP code instantiates Smarty class and makes a number of calls to Smarty assign() function to substitue the values of Smarty's variables. 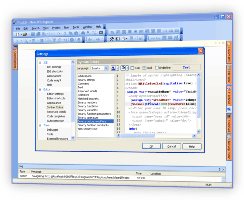 Final call to Smarty display method accepts the name of Smarty Template file to display. Please take a look at this PHP Code using PHP Smarty. The following illustration shows the out put of sample PHP Smarty script. For example, the illustration below shows debugging stepping into Smarty.class.php of PHP Smarty classes with PhpED's PHP Debugger. In this tutorial you learned about the many features of the PHP Smarty syntax color highliter and how to use them to quickly develop PHP Smarty applications. Additional technical information is available from the NuSphere Forum. 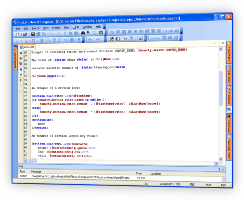 Download a free trial of our PHP IDE with full PHP Smarty support today!